Kate Wilkins’ wide-ranging experience in theatrical and architectural lighting has produced designs that range from the playful and intimate to drama on a grand scale. Having graduated in theatre design in 1991, she began her career in live performances which included touring with bands such as U2 and Depeche Mode. 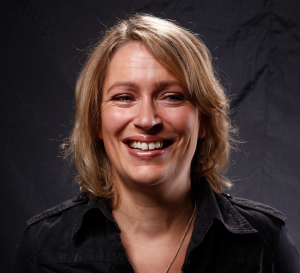 She then moved into permanent lighting design, working for lighting consultants Lindbeck Rausch in Hong Kong and Imagination Ltd in London before going independent in 2001. Her best known work includes the award winning Arsenal Diamond Club, The British Pavilion at the Shanghai Expo and the opening of Tate modern, which launched the gallery live on national television. With a huge interest in how environments influence our mood, she’s on a mission to create uplifting spaces which has included over 40 restaurants. Kate’s more experimental pieces explore human behaviour and include a community piece which was made in collaboration with local children, a light fibre optic pet exploring the need for possession and a homage to the light bulb, a clear case with 500 outdated and illegal light bulbs. Kate’s designs have won many awards and she has lectured in lighting design in Milan, Florence, London and Denmark.